Skipped Sunday's workout because we were out at Disneyland. Monday was 10 round Monday, then the stomach problems hit Tuesday which lasted all day making me miss my run workout. 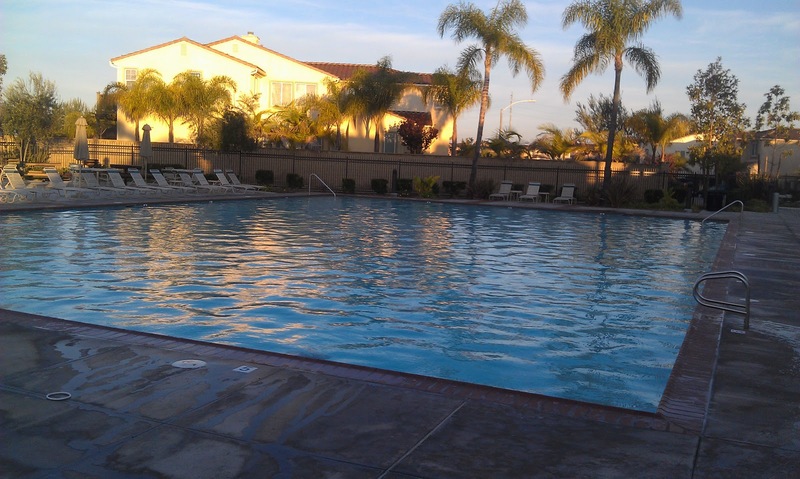 My stomach felt better this evening so I was able to swim. On the menu today was a brick workout. I felt good coming off the bike and running. This week has been pretty successful in working out. I only slacked on one day so far. I have one more day of workouts to complete the week. Not sure if it's because I pigged out the day before or if I'm too tired, but I just didn't have it today. I only got through half of my swim workout and had to call it quits. My body wasn't responding. I felt tired and sluggish. I'm hoping it's cause I'm not use to my new training routine yet. We'll see. After a morning of making garlic mashed potatoes and pigging out all day I finally got to my workout. On the menu for today was a bike ride. Foundation Bike - 1 hr 15 min moderate aerobic intensity (CFR4) Took it pretty easy. The legs felt pretty tired from yesterday's run. 3 more days and a "rest" day. The schedule isn't too bad, but it's only week 19 of a 20 week program so I'm sure longer days are ahead of me. I didn't do the sprints but rather, ran hard for the entire 40 minutes. Woke up this morning after last night's bike workout feeling good (thanks to the Somatomax). I was dreading jumping in the pool because of how "cold" it was outside (a chilly 54 degrees). It was a bit windy so that added to the chill factor. The inital jumping in the water is by far the worst part. By 75 meters into my warm up, I'm feeling great as the water is much warmer than the air temp. "it hits you like a thousand knives stabbing you all over your body. You can't breathe. You can't think. At least, not about anything but the pain." Repeat of last week's workout. Not too bad. 20 second intervals done in a high gear @ speed intensity w/ 2-min active recoveries. Warm up and cool down enough to reach total time. 10 min warm up and 10 min cool down enough to reach total time.